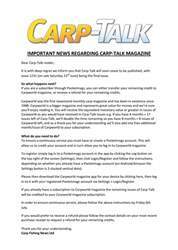 This week’s issue of Carp-Talk (issue 1100) is available to download now. 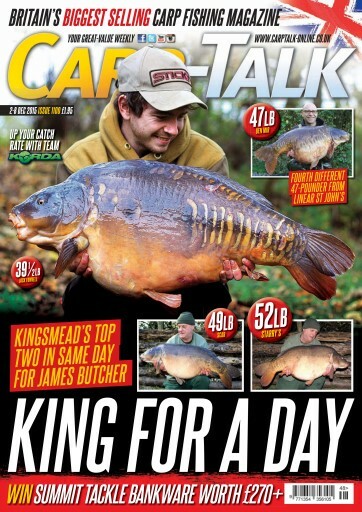 It has been another good week for big UK carp, with a few fifties and numerous forties gracing the banks. Look out for Ringstead’s Lady at a huge weight and a fantastic catch from Kingsmead, where one angler caught the lake’s two biggest fish in the same day! We also talk exclusively to Sport England’s new angling promotions officer, Rob Hughes, about how he plans to get people fishing more often. 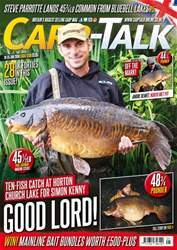 Elsewhere in the mag, we look at the huge range of Christmas present ideas available at Gifts4Anglers. Ross Hodgetts recounts his encounter with Linch Hill’s finest, and Neil Spooner offers some advice on how to ‘Beat the Dark’ during winter overnighters. Stephen May takes advantage of the autumn feed-up at Blakemere, and Simon Crow recalls 11 memorable days on the Orient in France. 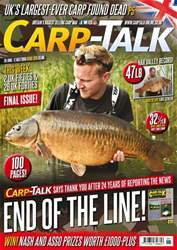 Products from Cygnet, Gardner and the Tackle Box are reviewed, and we look at the latest offerings from FishSpy and Lion Carp in ‘Trade Talk’. Also, we’ve got £240-plus worth of Summit Tackle to give away.